Return all phone messages within same day. Return e-mail messages within same day. If a job candidate is rejected by cj, send him/her correspondence and provide the names of the other top agencies in Nashville to check out. When job candidates come into the office, offer them a beverage as they wait. Validate all parking for interviewees. Answer employee benefit questions the same day they are received. Hand out paychecks by 3:30 pm on the Thursday before payday. Arnie Malham – cj Advertising and Legal Intake Professionals was established in 1995 by its founder and President, Arnie Malham. He launched cj Advertising, which has since grown into the largest full-service advertising agency in the country, to exclusively serve personal injury lawyers. 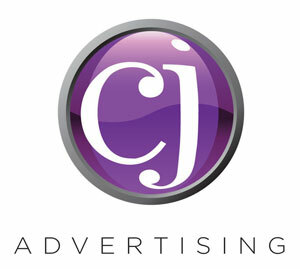 cj Advertising’s vision is a team of marketing professionals who come to work every day and focus completely on growing their clients’ businesses. In 2000, Arnie launched Legal Intake Professionals (LIP), a 24-hour call center, to answer phones just for law firms. Today, more than 70 specialists serve more than 140 law firms throughout the U.S. with empathy, compassion, and intelligence on every call. With answer rates, engagement rates, and customization unrivaled anywhere in the call center industry, LIP is truly unique in the marketplace. Arnie believes that different is better than good, that outliers are fascinating, and that mindset is everything. Arnie’s favorite quote is, “If it’s worth doing, it’s worth doing wrong,” and he has no problem with the concept of getting it wrong until he gets it right. 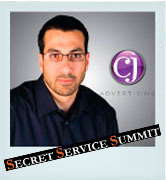 Don’t miss his captivating presentation on Establishing a World-Class Internal Culture at the 2012 Secret Service Summit. Please take a few minutes to read the below article sent from The DiJulius Group and send me your number one learning. Thank you, Holland, for continuing to provide World-Class Service to all our customers! Your customers will never be any happier than your employees are.